We used to think pain was a measure of tissue damage, but thanks to a lot of research in this area over the past decade we now know that is not true. Pain scientists are agreed that pain is an unpleasant feeling in our body that makes us want to stop and change our behaviour. Pain is a complex and highly sophisticated protective mechanism. What is really interesting about pain is the context in which we feel it! Pain depends upon the brain evaluating a massive amount of information, including perception of danger, but also cognitive data (for example expectations, previous exposure, cultural and social norms, beliefs. Therefore, the context is critical, and other sensory data input (for example that from vision). We now know that pain can be turned on, or up, by anything at all that provides the brain with credible evidence that the body is in danger and needs protecting such as fear or visual feedback that is scary (such as blood). So, if the brain’s evaluation of all available information leads it to conclude that things are truly dangerous, then sensitivity of spinal nociceptors increases (i.e. you feel more pain). If the brain concludes things are not truly dangerous, then sensitivity of spinal nociceptors decreases (you feel less pain). In chronic pain, all the above applies but with one very significant caveat: the hardware (the biological structures involved in conveying and processing danger messages and in integrating other threatening cues) increases its sensitivity. This is one significant reason that recovery from persistent pain is seldom a quick fix, but requires a journey of patience, persistence and good coaching. Our efforts focus on decreasing sensitivity in the system and training it, gradually over time, to be less protective. 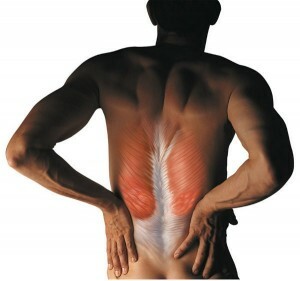 In Reform Physiotherapy we see people with chronic pain every day. We have had great results with educating people that pain does not always mean tissue damage. Therefore, pain does not correlate with damage/danger to the body. Once this is accepted, and fear of pain is reduced, we can start focusing on functional goals and over time the pain is reduced or well managed.